Attorneys Jennifer Schulte, Jeana Vogel, Howard Iken and Alberto Ayo are our divorce attorneys in Lakeland Fl. They have years of experience fighting for their clients in the most difficult of divorce cases. Divorce Attorney Howard Iken was recently designated as a Rising Star with SuperLawyers and is always available as a backup to our other attorneys. Ms. Hobbs also practices criminal law in Lakeland and can help you navigate interrelated criminal and divorce cases. During heated divorces in Lakeland, many people must file or face domestic battery charges. Attorney Jennifer Schulte is experienced in preventing domestic battery from impacting a divorce case. Our Lakeland office is conveniently located on South Florida Avenue. 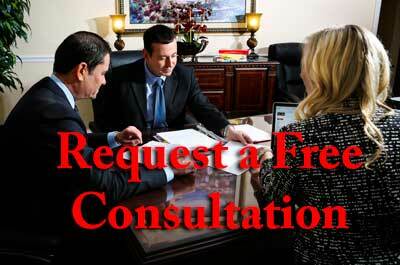 Our experienced Lakeland divorce attorneys are always available to give free consultations. Call us today to schedule an appointment. Appearing in divorce court in Lakeland, or any other type of case is cause for anxiety whether you are seeking a divorce, fighting a domestic violence injunction, answering charges for DUI, fighting for your right to remain in the U.S., filing for bankruptcy or battling your ex for custody of your children. If you fear that you may say the wrong thing or do something that the judge will consider a disruption, you only need to read newspaper headlines to gain insight into behavior that is not acceptable. On July 9, Amanda Bynes wore a bright aqua green wig to a court hearing. She was defending herself against police claims that she threw a bong out the window before being arrested on unrelated charges. The Lesson: When your hairstyle, makeup, clothing or body scent draws attention to your side of the courtroom, it reflects poorly on your character. The judge may see this distraction as a sign of disrespect or lack of seriousness. Members of a jury may pay more attention to you than what your attorney is telling them. The assumptions made about you based on your appearances may do more harm than the great things your witnesses say about you. Go with business or business casual attire and nicely styled hair to ensure your look speaks to your trustworthiness and seriousness. The Lakeland court is a relatively small town and respect for the court is a very big principle. Dress like you are going to church and you will never be wrongly attired. In May 2012, a group of detainees standing trial at Guantanamo Bay knelt in prayer and ignored directives issued by the judge. This was likely an attempt to make a bold statement about their disagreement with proceedings taking place in the courtroom. The Lesson: Dismissing the judge or refusing to participate in proceedings is a great way to convince a busy judge to rule against you and move on to the next case. It is best to let your attorney make the statements on your behalf. If a judge asks you a question directly, give an honest answer in a respectful tone without foul or offensive terms. In April 2013, a judge in Michigan held himself in contempt of court and issued a fine against his own wallet. The judge was a strict enforcer of a rule posted in his courtroom that warned interruptions caused by electronic devices would result in a finding of contempt of court, confiscation of the electronic device and a $25 fine. When the Judge’s phone started asking for voice commands in the midst of closing arguments, he stood by the rule and paid the fine. The Lesson: If you are nervous about making mistakes, understand that most judges know the difference between unintentional mistakes and intentional disruptions. They will give you a fair chance in the courtroom if you show respect and work closely with your attorney to play by the rules. Most of the Lakeland judges live locally and have families. They are human beings, doing a public service. Just show sincerity and you will come off as a straight-shooter in all of your cases. If you are seriously concerned about what may happen when you appear in court, ask your attorney what you should expect. Just knowing what may happen will take the unknown out of the event and ease your nerves.